Start My 14-Day Free Membership *After 14 days, your Beachbody On Demand membership automatically renews for just $39 quarterly billed in advance to the credit card you provide today, until you cancel. 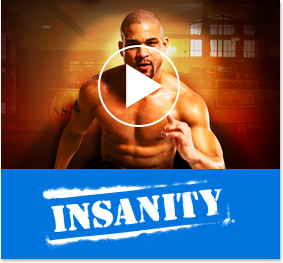 You may cancel anytime by calling 1 (800) 470-7870.
expanded Beachbody® On Demand thanks to YOUR IDEAS! My name is Carl Daikeler and I’m the CEO of Beachbody. Last year, I offered 3 million people 14 days of FREE streaming access to hundreds of Beachbody fitness videos, and all I asked for was your feedback. And boy, did you come through! Your ideas helped us build an even better Beachbody On Demand—in fact, I’m so proud of it, I’m opening another exclusive window for the NEXT 3 million people to try it FREE for 14 days. T25®—even yoga for beginners—plus a Program Match feature to help you choose a workout that’s exactly right for you. Demand—including all the new features you requested—for the next 14 days. You’d love to lose 10 or 15 pounds for FREE*, wouldn’t you? So let’s get started! Start My 14-Day Free Membership After 14 days, your Beachbody On Demand membership automatically renews for just $39 quarterly billed in advance to the credit card you provide today, until you cancel. You may cancel anytime by calling 1 (800) 470-7870. Choose classics like P90X and INSANITY, or newer additions like 21 Day Fix EXTREME and FOCUS T25! 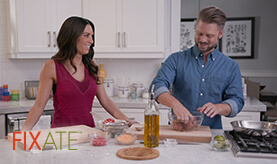 FIXATE™ features easy-to-follow video demonstrations of recipes that help make losing weight delicious! To help you choose the right workouts to fit your goals and starting point. Go from uninspired to awe-inspiring. These people did—they stunned their family and friends with their shocking results. And they did it all without joining a gym. †Results vary depending on starting point and effort. Diane W., Lisa J., Rebecca P., Rob S., and Tarah C. are independent Beachbody Coaches. Stream your workouts from your laptop, tablet, or mobile device. Now you can bring your Beachbody On Demand programs with you wherever you go. After 14 days, your Beachbody On Demand membership automatically renews for just $39 quarterly billed in advance to the credit card you provide today, until you cancel. You may cancel anytime by calling 1 (800) 470-7870. Apple, Apple logo, Apple TV, Apple Watch, App Store, iPhone, iPod touch, and iPad are registered trademarks of Apple Inc. Roku is a registered trademark of Roku, Inc. in the United States and other countries. Amazon, Kindle, Fire, and all related logos are trademarks of Amazon.com or its affiliates. Chrome, Chromecast, and the Chrome logo are trademarks of Google Inc.